In fall 2009, Amanda Marr got the news that no wife of a soldier ever wants to hear. Her husband, U.S. Army Staff Sgt. Justin Gallegos, was dead, killed in one of the bloodiest battles of the war in Afghanistan, the Battle of Kamdesh. At sunrise on Oct. 3, 2009, around 300 Taliban fighters launched a surprise attack on a small combat outpost near the village of Kamdesh. 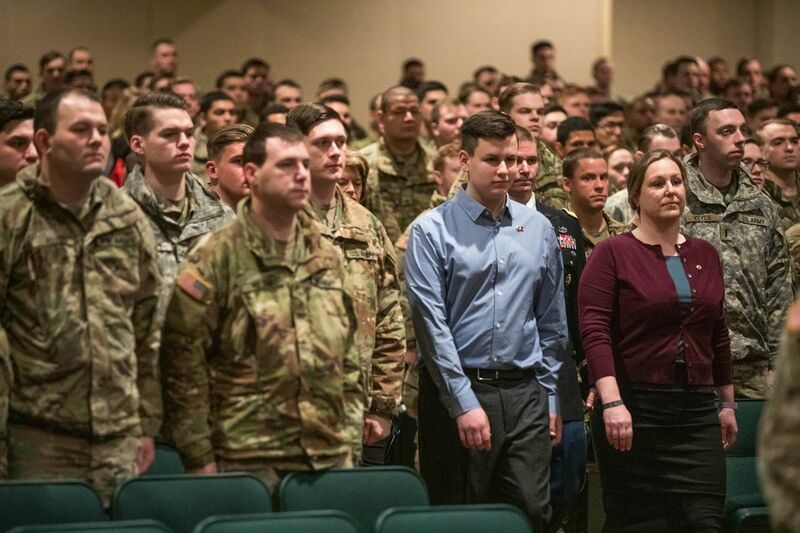 Many of the Afghan National Army members who were there in support of the coalition troops fled, leaving 53 Americans and two Latvians alone to fight the Taliban on their own. Within an hour, the Taliban had breached the perimeter of Combat Outpost Keating. Once inside, they began to set fire to the buildings, burning down most of the outpost. The coalition soldiers retreated to two buildings that were not on fire, regrouped, and over the course of the next 12 hours they fought their way back out, retaking the outpost and repelling a force that outnumbered them 6 to 1. By the time the fight was over, eight soldiers had been killed, including Gallegos. Gallegos joined the Army as a tank driver, soon re-classing as a scout. By the time he deployed to Afghanistan in 2009, he had already received two Purple Hearts from previous tours in Iraq. For actions taken during the Battle of Kamdesh, the military awarded two Medals of Honor, nine Silver Stars, 18 Bronze Stars with "V" devices for valor and 27 Purple Hearts. 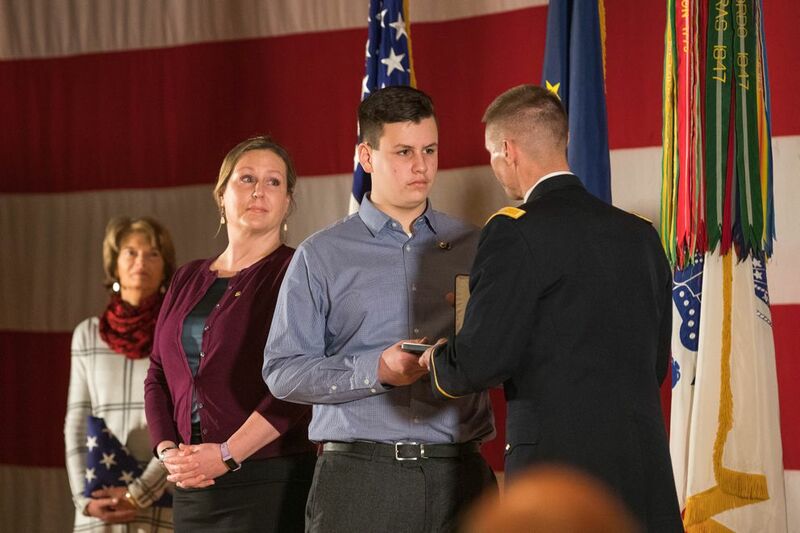 Gallegos was awarded the Silver Star, the Army’s third-highest award for valor. But for many of the soldiers who served alongside Gallegos in Afghanistan, that didn’t seem right. Maj. Stoney Portis, Gallegos' commanding officer during the battle, began working on getting Gallegos’ award upgraded. 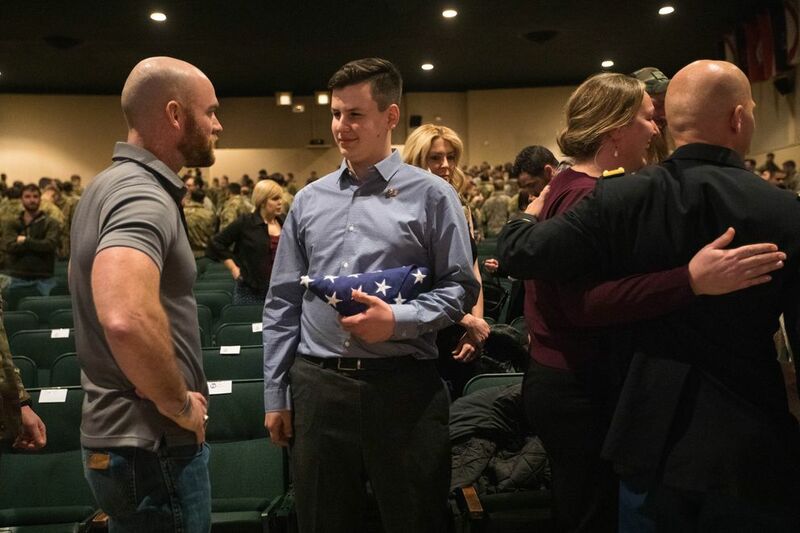 “A couple of weeks ago, when I heard the news that Justin’s Distinguished Service Cross had finally been approved, I knew that one of the great discrepancies in the long narrative of the battle of Combat Outpost Keating had finally been corrected,” he said during a ceremony Saturday at Joint Base Elmendorf-Richardson. 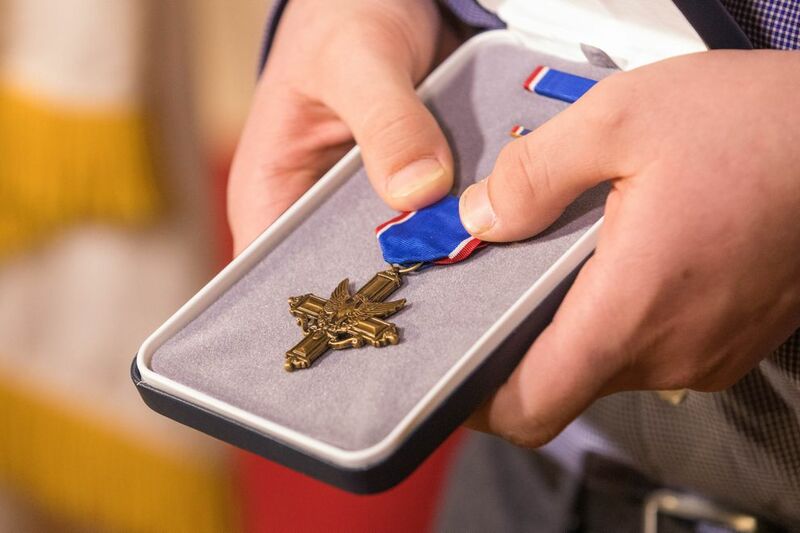 The Distinguished Service Cross is the military’s second-highest award for valor, behind the Medal of Honor. 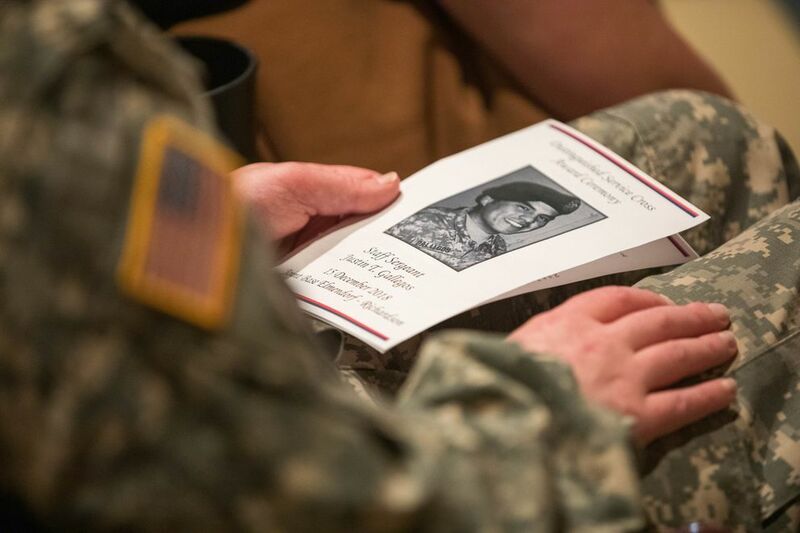 Maj. Portis described how during the fight, Gallegos and two other soldiers were injured when a rocket-propelled grenade (RPG) struck a Conex near the vehicle they were in. Realizing that they needed better cover, Gallegos ran through enemy machine gun and RPG fire for the latrines, which were fortified. When he was almost to safety, he turned around to see his fellow soldier, Spc. Stephan Mace, crawling toward him through the enemy fire, his legs shattered from the first RPG attack. Although he could have reached the latrines if he had wanted to, Gallegos turned around and ran back through the enemy fire, picked up Mace and began carrying him to the latrines. “He died doing what he cared about for people he cared about,” said Marr. "I would never have expected less of a grand heroic gesture from him in that situation. Gallegos' son MacAiden was 5 years old when his father died. On Saturday, MacAiden, now nearly 15 years old, accepted his father’s Distinguished Service Cross during the ceremony at JBER.